Deriving from the Viking name ‘Karla’, meaning free man, and the Saxon ‘tun’, which means a farm or a collection of dwellings, the village of Carlton is the most southerly in England bearing the name and therefore indicates how far south the Vikings came. 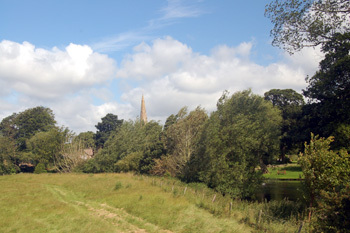 The landscape around Carlton is typical in Bedfordshire. We will be taking a route mainly over country paths. At the end of the walk, we will take the opportunity to drop in a cafe at the Emmaus Village Carlton centre which provides yummy cakes (also tea, coffee and savoury dishes) at sensible prices. Emmaus Village Carlton – Perfect for low cost second-hand shopping if you need kitchen items (glasses, cutlery, plates, bowls, cute china cups) , books, lamps, picture frames, flower pots and furniture! Also drop off point available – if you are moving out soon from your student accommodation, drop off any unwanted items and prevent them going into landfill. As always we need drivers so if you are free and willing to drive please let us know. Club members only? : No. But limited spaces depending on the whole number and the drives’ number. Meal provided? : Please ensure you bring a packed lunch and always bring some water with you. Gear: Wear appropriate clothing and footwear for a country walk, bearing in mind the prevailing weather. Other information: Drivers Wanted. If you have a car and are willing to drive please let us know in the email. The driver will be reimbursed.